How to Ease up Your Dog's Grooming Anxiety | Dog Trainer in San Diego: The Dog Man Can. Some dogs like or at least tolerate grooming sessions. But not all dogs. If you have tried everything, from introducing him to grooming tools to desensitizing him at home, and anxiety for the groomer is still a major issue, there are some clever ways to help ease the tension for your beloved Fido. Car rides can provoke anxiety in some dogs. However, there are some reasons you need to look into that make him nervous and also scared sometimes. 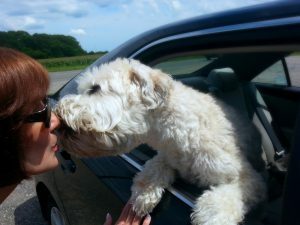 One of the main reasons for the anxiety is that he associates the car ride with trips to places he doesn’t like, such as a veterinary office or a groomer. Moreover, motion sickness can add to his fear of riding in cars. Many people choose to should talk to their vet for preventive measures to cure anxiety issues and to see if any anti-nausea medication can rectify motion sickness. This is warranted for some canines. 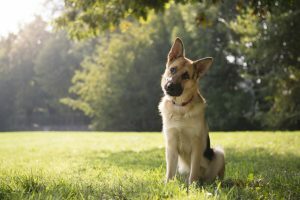 However, keep in mind that a well-trained dog can manage anxiety through behavior modification and other savvy dog training techniques. 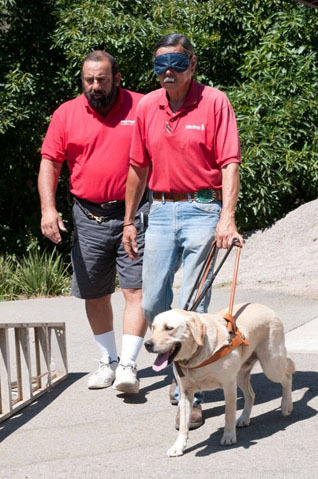 In fact, a good canine behaviorist, like Pro-Train, could be a very good option to help make this transition possible. Just remember that a veterinarian is not always the best professional to ease anxiety (a behavioral issue) and the vet may just be inclined to use medication. This is not the best option in our opinion. Grooming also includes handling of several sensitive areas like his muzzle, eyes, ear, groin, jaw, paws, and rear. You should make your pooch get used to being handled by his groomer. Training plays an important role in making him stay calm throughout the grooming session, especially when he is being touched in his sensitive areas. A good way to make your dog accustomed to touch in sensitive areas is by desensitizing them to the grooming tools. Introduce the tool as her new toy. Slowly approach her with it and reward each touch with a highly valued treat. Doing so will make her like, or at least bear, with each of your small attempts to desensitize. If your Fifi doesn’t let you touch in sensitive areas like ears, you can start desensitizing from comparatively less sensitive areas followed by treats and gradually moving towards more sensitive areas. Keeping things familiar to them is another way to keep anxiety at bay. For example, use the same brush for your dog to brush him every time you attempt to brush her fur. Once your dog senses a new normal with being handled, stays calm, and receptive, she should be good-to-go for a professional grooming session. Remember, you need to imitate your groomer the way he would handle your dog so that every touch and handling will be familiar for him. Ask your grooming facility if it allows pets to visit its place, so that your dog can associate happy moments with the place. When you arrive, give your dog treats. Stay in your car in the parking lot for a while and then take him on a walk nearby. Let him do some sniffing around and eat some delicious treats. You can ask groomer and the staff to perform the same training and desensitization you did with your Fido at home with some more treats. In addition, make him accustomed to lifting and putting down on the floor from a table. This will help your dog to associate his happy memories (treats) with grooming sounds and activities. As previously mentioned, we believe strongly in the power of behavior modification training. 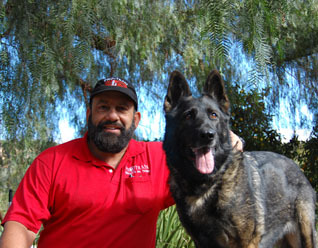 According to Mark Castillero, founder of Pro-Train and author of More than a Dog Whisperer, most dogs can be trained to effectively handle a trip to the groomer with tried and proven behavior modification techniques. He suggests always making training your dog, even before grooming, a top priority. Of course, there are some instances when your dog is just in need of sedatives. However, this should be the last option on your list and sedatives should only be considered when all other options have been exhausted. Ask yourself the following questions, and the answers will give you a good insight in deciding whether your pooch really needs sedatives or not. Has your dog always been like this? If not, you may want to consult a vet to check what may have happened. It can be some kind of ear infection or some other pain that makes him extra anxious. Or you might have changed his groomer and he is simply not okay with it. Have you tried different groomers? Some groomers are more patient than others or they have a different level of expertise that may lead to a smoother grooming session for your dog and have some extra ideas to calm your pooch. Have you tried to groom your dog yourself? Some canine buddies are less fearful and anxious in their home and comfortable being touched by their parents than a complete stranger. If you have some hands-on experience with grooming, you should give it a shot. Obviously, it is quite better than giving your buddy sedatives, right? Have you ever observed any aggression in your dog when being groomed? Try to find reasons for it. Does your dog belong to the breed that has frequent grooming needs? Does your pooch often get incredibly anxious? An anxious dog makes his parents feel guilty. And it is our duty to make them believe it is all good and there’s nothing to worry about. Anxiety in dogs is real and as complex as much as it is in humans. Here’s hoping that these tips help make the grooming experience a positive one for both you, and your beloved canine. Clara Lou is Co-founder and the Head of Marketing at Petlovesbest.com. Pet Loves Best is a one-stop solution for all your pet supplies shopping and pet-related queries.